The faculty of Engineering launched the ACM-PUA Student Branch which is affiliated with the Association for Computing Machinery (ACM) on Tuesday 2/10/2018. The ACM Student Branch aimed at preparing the students for international scientific competitions like the International Collegiate Programming Contest and robotics competitions. A considerable number of students engaged in mathematical sums and mind games during the opening ceremony of the ACM Student Branch. 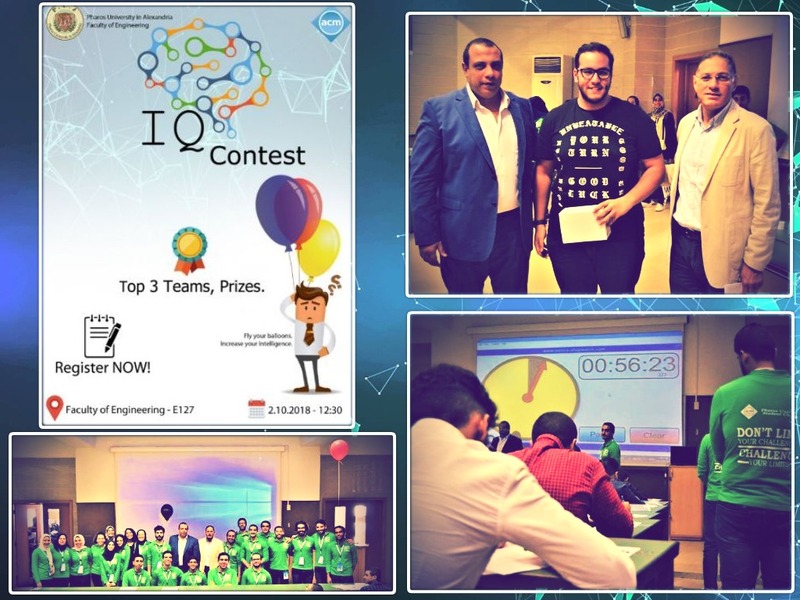 Prof. Mohamed Gaber, the Dean of the faculty of Engineering and Dr. Mohamed Elkholy, the ACM Student Branch Coordinator distributed prizes among the top three students.